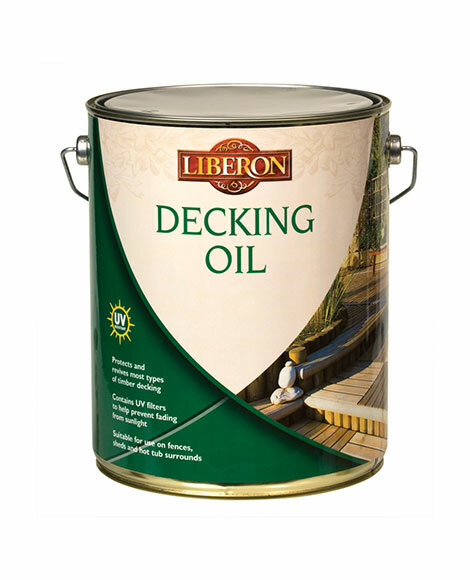 Decking Oil feeds, protects and enhances the natural beauty of old or new exterior timber decking. 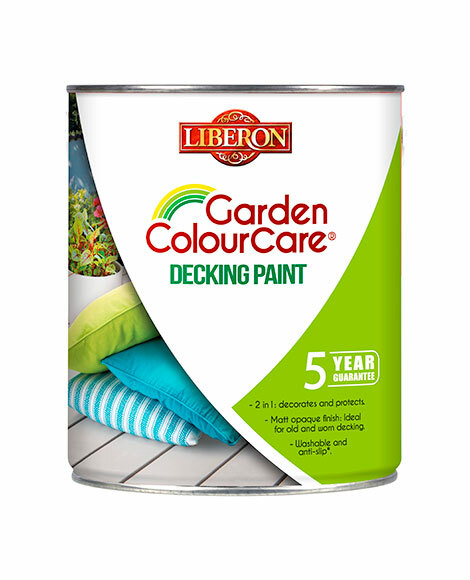 A highly water-resistant, UV-enhanced formula, it is perfect for reviving and restoring colour to weathered and greying decking, and is also suitable for use on fences, garden sheds, gates and hot tubs. Ensure the surface is clean, dry and free from previous finishes and dust. Lightly sand new wood and clean old wood with Tough Deck Clean & Revive. Stir well before use. Apply a generous coat of Decking Oil with a paint brush or roller. Allow to penetrate for 15 to 30 minutes then apply the second coat without waiting for the first to dry. Continue to apply more coats of Decking Oil until the timber no longer absorbs the oil. Wipe any excess with a lint-free cotton cloth and allow to dry for 24 to 48 hours before using the decking. 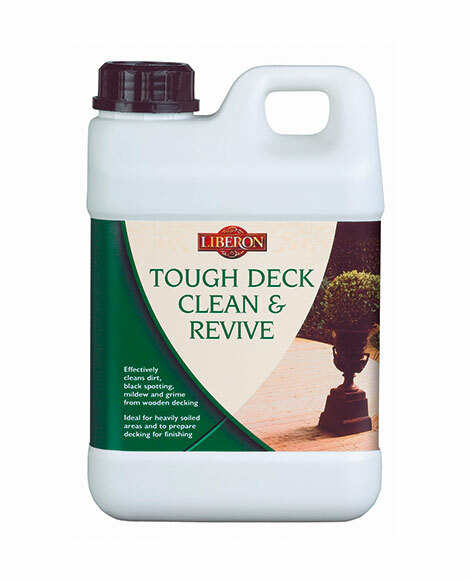 For general maintenance clean with Decking Clean & Revive. We recommend applying one or two coats of Decking Oil once a year as routine maintenance. On high traffic areas re-apply one or two coats of Decking Oil as and when required. Wear suitable clothing and protective gloves when using Decking Oil. Store Decking Oil at a temperature above 5°C. Always replace the lid otherwise the oil can deteriorate. May not be suitable for some foreign hardwoods. Please contact us for advice on your specific type of hardwood.